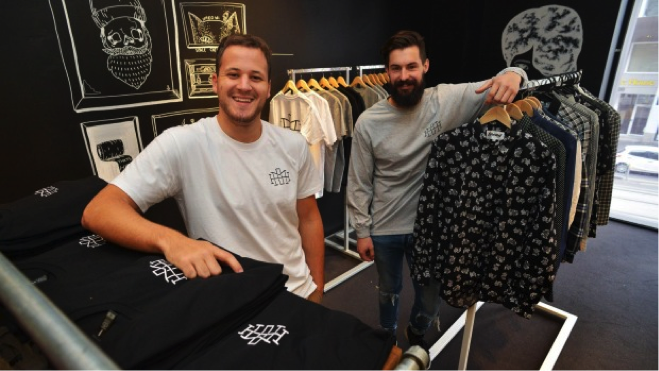 HoMie – story in Melbourne Central where everything you buy goes back to homeless people and where homeless people get clothes, haircuts, coffee. I would like to explore through a web documentary how these groups got started, what motivated them, what their aims are and how they are travelling towards those aims. As well as talking with the people who provide the services I would talk with those who use these services to get an idea of how it works for them and what difference these services make to their lives. The web documentary would be video based, built around interviews, and possibly content shared by participants. Having viewed a range of documentaries from fairly linear ones such as Alma: A tale of violence to highly interactive and open narratives such as Pine Point, I am drawn towards works where the interactivity matches the narrative. At this stage I am still very much considering the level of interactivity for this project and part of that is to think about the aim of the work. In this case I would be looking to share what’s happening around services for the homeless with a broader audience and to perhaps build support for these services. I also have to consider what is already happening in this area. 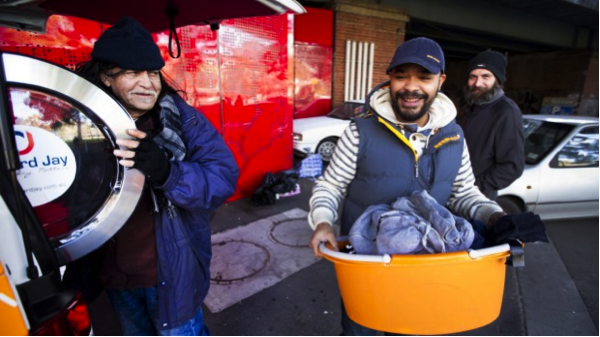 A key site is the Facebook community Homeless of Melbourne. 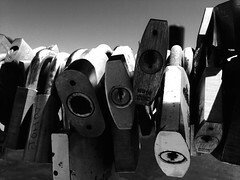 This is a great site that provides interviews and stories shared by homeless people. At this stage I need to consider what would be a point of difference between a web documentary and this Facebook community which currently has 26,000 likes. A recent video post on this page has 16,000 likes. Having set up the Women Go Surfing Facebook group last semester I know how hard it is to build a community. Here’s a strong and engaged community and I think I should consider how to bounce off this community and engage with it to make a new work that is relevant to the stakeholders. What could an interactive documentary offer to this area? Perhaps one way to start would be to talk with those behind the three services I’m considering. I have made contact with Nick Pearce of the HoMie store and he’s very open to the idea and has advised they are having two more events at the store in August. This could be a good opportunity to discuss the idea with the people involved. In terms of interactivity, I will need to consider the key elements of participation, modularity and variability. Is this a work that would benefit from ongoing input from the community? I think it probably is. I think it will need to be quite open and inclusive. In terms of modularity, I think this could be a key element in the work as there won’t be one linear story as much as a range of stories from both service providers and users of these services. So the content would be delivered in modules that can be accessed in a non-linear way without affecting the integrity of the overall work. Could the content be modified or substituted? That needs more consideration. How much should the content be variable, allowing users to reconfigure or recontextualise or recombine the modules? Again this would need consideration but having viewed a range of other web documentaries I am inclined to think this isn’t an important aspect for this work. My aim is to create documentary content that asks questions, explores and uncovers stories that might not be told. I am really interested in building an interactive narrative project around the area of homelessness as this is an issue that continues to impact people in Melbourne every day.